MS Office 2013 was the Microsoft Office version released in 2012 and was more popular than the Office 2010 version. Later Microsoft released Office 365 and the latest Microsoft Office 2016 for the Windows users. Even though, these tools either come pre-installed with Windows OS or the users have to purchase them online, Office has been the most popular Office suite until now. There is no other Office suite available as of now which can take the crown from Microsoft Office. Microsoft Office 2007 – 2010 – 2013 and the Office 2016 didn’t have any major errors, but a minor yet frustrating Office error is “Something went wrong error” in Office 2013 and 2016. The “Something went wrong” error is common among Microsoft Office 2013 and 2016 users, but the fix for them may vary depending on the problem. Therefore, in today’s post, I will show you how to fix something went wrong errors in Office 2013 – 2016. Note: This guide is written for Windows 10 users. But, you can try these fixes on Windows 7, 8 and Windows 8.1 running machines as well. As I said earlier; the “Something went wrong error in Office 2013” may occur due to several reasons and at a different point. Some users face the “something went wrong error” while installing Office 2013 or the Office 2016, but some may come across this error while restarting Microsoft Office. There are other few reasons and fixes for them that I will discuss later in the article. So, if you are facing the “Something went wrong error” in Office 2013 or Office 2016 then make sure you read the error description before proceeding with the fixes. Click on any of these something went wrong error link to jump to the fix section. Though the error “Something went wrong” may look similar all the time, it can occur due to different reasons. The error “Something went wrong. We are sorry, but we are unable to start your program. Please ensure it is not disabled by the System. Go online for additional help. Error code: 1058-13” usually occurs when you try to start Microsoft Office 2013. It can also occur if you were trying to uninstall Microsoft Office 2016 or simply trying to repair the software. The main reason for this error is that the Microsoft Office “ClickToRun” Service must have been disabled. You can fix this error by enabling the “ClickToRun” service again. Follow these steps to know how to do it. Open Command Prompt. Press “Windows Key + R” key and enter cmd in the Run dialogue box. 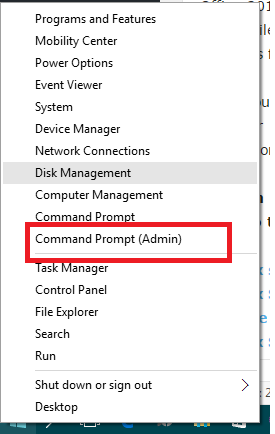 You can also open the command prompt, by clicking on Start, type cmd, right-click on “Command Prompt” and select “ Run as Administrator”. In the command prompt window, enter following command one by one: Remember to hit enter after entering the each command. If you see no error after entering the commands, then close the Command Prompt window, open Microsoft Office, and see if the error has been resolved. The “Something went error” may also occur during Office 2013 installation. If you were trying to install Office 2016 or the Office 2013 on your PC, you might encounter “Something went wrong error. Sorry, we ran into a problem. Try going online for additional help”. One of the common reasons for facing something went wrong error during Installation could be the corrupted Office installation files on your computer. To fix this error, you can try uninstalling any duplicate files if any, or you can use the Microsoft Fix It tool. Use Fix it to Remove Corrupted Office Files – You can fix the Something went wrong error by simply uninstalling the Office installation. Go to Control Panel > Programs > Programs and Features. Now look for any Office Installation and try to uninstall it. If successfully uninstalled, try to run the Office installation again and see if the error has been resolved. If the error persists, then you may need to use Microsoft Fix it tool to fix this error. Using this tool, you can remove the corrupted Microsoft Office file traces automatically. So, download Microsoft Fix It Tool from here and run the tool. After running it, the tool should remove the Microsoft Office installation keys from your computer. Once removed, run Office 2013 installation file again and see if the error has been resolved. Disable Antivirus and Firewall – The something went wrong error can also occur because your Antivirus and Firewall are blocking it. So, disable Antivirus and Firewall temporarily then reinstall Microsoft Office and see if the error has been resolved. 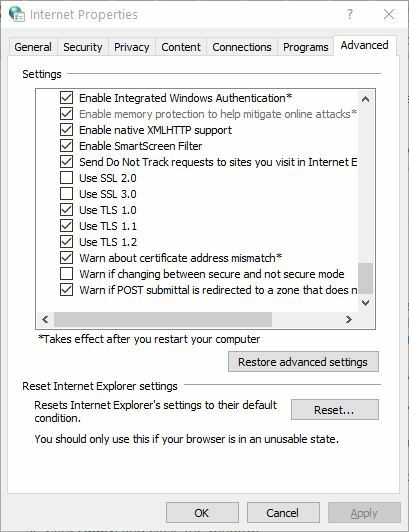 If necessary, disable Firewall of your internet router and try to run the Office 2013 – 2016 installer. If you recently bought the Office 2013, 2016 or the Office 365 suite license and were trying to activate the Office suite, then you may face “We’re sorry, something went wrong, and we can’t do this for you right now. Please try again later. (0x80070005)” error. If you can’t get your Office 2013, Office 365 or the Office 2016 activated, you will be able to use the Microsoft Office, but most of the features in the suite will be disabled until you activate it. You can see the “Unlicensed Product” showing in the Title bar of the document. To fix the activation error in Office 2013, 2016 and Office 365, follow these fixes. Run MS Office as Administrator – To fix the something Went Wrong Error (0x80070005) you can try running the MS Office application as Administrator. Later, you can proceed with the activation of the application. To run Microsoft Office 2013, 2016 and Office 365 as Administrator do the following. Click on Start button, search for any MS Office program like MS Word by typing it. 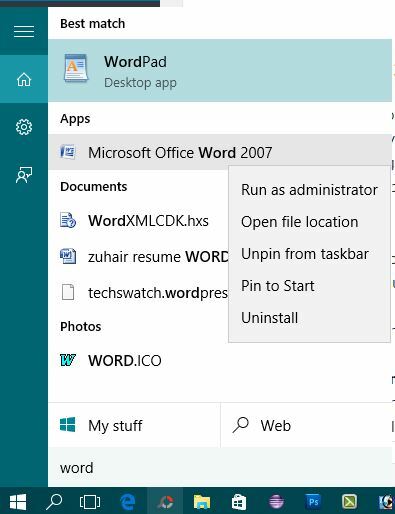 So, type MS Word and when the MS Office Word application shows in the result, right-click on it and select Run as Administrator. Now try to activate the Office suite and see if the error has been resolved. If not, try the alternative fix. Update Office 2013, 2016 to Latest Version – If you are running the old version of the Microsoft Office, you can try to update to the latest version and fix Something Went Wrong Error (0x80070005) error in PC. To do this, open MS Office with any application like Word or Excel. Click on File and select Account. Under “Product Information” click “Update Options” and then on “Update Now”. Use Fix it to Uninstall Product Key of Office 2013 – If nothing seems working then you can try uninstalling the product key for Office 2013 using the Fix it tool. 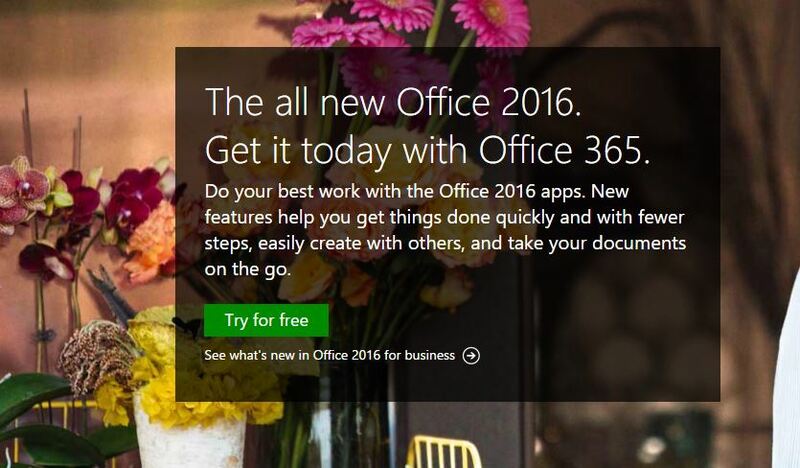 Note that this would only work if you are using the Office 2013. So download Fix it Tool from here and run it. 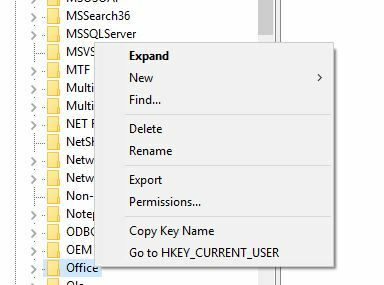 This should remove the Office 2013 product key. Once done, sign in again and try to activate the Office 2013. This didn’t fix the error? Try running the Microsoft Office online repair tool to fix. This tool will find the problem and suggest fixes accordingly. Did you recently upgraded to Windows 10 and are facing the “we are sorry, something went wrong 0X8004FC12 Error” when activating Office? This is a common error and may occur only on your Windows 10 PC. When you try to activate Office 365, Office 2013 or the Office 2016, you will end up with an error message “We’re sorry, something went wrong, and we can’t do this for you right now. Please try again later. (0x8004FC12)”. In Windows 10 this error usually occurs because of network issues. So, try the fixes given below to fix this error. Add Net Local Group to fix Something Went Wrong Error – You can add Net Local Group by running few commands from the Command Prompt. Open Command Prompt, by pressing “ Windows Key + R”, when the Run dialogue box appears type cmd and hit enter. Alternatively, right-click on Start button and select Command Prompt (Admin). Now in the Command Prompt window, copy and paste the following lines of commands one by one. Make sure you hit enter after each line of the command. After entering and executing the command, restart your Windows 10 PC and try to activate Office again. Reset TCP / IP – If adding Net Local Group didn’t fix the error, you could try resetting the TCP / IP settings. To do this, download and run Microsoft Easy Fix troubleshooter. Follow the onscreen instruction to reset the TCP / IP. Once done, restart your Windows 10 PC and try to activate the Office suite again. Disable Antivirus and Firewall – This fix has been already mentioned for other “Something went wrong errors”, but you can fix the something went wrong error by disabling the Antivirus temporarily on your computer. You may also want to disable Firewall and then try to activate Office. Enable TLS 1.2 (Transport Layer Security 1.2) – TLS is an industry standard designed to protect the privacy of information communicated over the internet. If you have TLS disabled, then you can face the “something went wrong” error as well. To enable TLS do the following. Open “Internet Properties”. To do this, press “Windows Key + R” when the Run dialogue box appears type inetcpl.cpl and hit enter. In the “Internet Properties” window click on the “Advanced” tab. Under Settings, scroll down to the bottom and find USE TLS 1.2. If the box beside Use TLS 1.2 is checked, then you have TLS 1.2 enabled. If not, you check the box and click on Apply and then on OK. Restart your PC and try to activate MS Office 2013, 365 or Office 2016 again. The error code 30088-4 something went wrong error occurs when you try to install MS Office 2013 on your Windows PC. The error may occur due to several reasons, and we have few fixes for them. One of the common reason for this error is old Office 2013 file traces in your computer. To fix this error, do the following. Download Fresh Installer – Go to your Microsoft Account that has your Office 2013 Subscription. Click on “Share your Subscription benefits” and click “Add user”. Click on “Software” and download the Microsoft Office 2013 in your preferred language. Repair Microsoft Office 2013 – You can also try to repair Microsoft Office 2013 installation. Click on “Control Panel” and then on “Program and Features”. “Right-click” on Microsoft Office 2013 and select Change. It will open a dialogue box, and you have to click on Repair to initialize the repairing process. Uninstall Office 2013 completely – You can make use of Microsoft Fix it tool to remove the Microsoft Office 2013 installation completely. Later you can try to run the Office 2013 installer from the scratch. Get the Microsoft Fix It Tool from here and run the Tool. Follow on-screen instructions and click on the Apply this fix to run the suggested fix. After this, you should be able to get rid of old Microsoft Office 2013 installation completely. Remove Office 2013 Registry Files – If you are still facing the same something went wrong error then you can remove the Office 2013 manually using the Registry Editor. To do this, follow these steps. Press “Windows Key + R”, when the Run dialogue box appears, type “Regedit” and hit enter. It will open Registry Editor. Inside the registry editor, go to HKEY_CURRENT_USER\Software\Microsoft\Office. Here you can choose to rename or remove the Office 2013 folder. Right-click on “Office” folder and select rename. Next, rename the folder to “Office.old”. This way you can be sure that Windows does not find the duplicate folder again. So, this was about how to fix Something went wrong errors in Office 2013, Office 2016 or Office 365. Do let us know if you are facing any other error not mentioned in this guide. We would like to keep this something went wrong error in MS Office guide up to date. Hi Roja, Glad to hear that. Which fix worked for you? I am using Microsoft Word Mobile which automatically saves my file. Never had any issues till the last save on a chapter I finished. My tablet ran out of battery and shut off. After opening Word Mobile the file was “there” meaning it had saved at one point yet when attempting to open I had the message something was wrong and couldn’t open file ” ____”. No code was given. I am baffled and fustrated. Any help would be fantastic. If you can view/locate the file, try moving it to PC and open it from there. Thank you Tashreef for such a wonderful article. It was helpful for me in many ways. While searching for a resolution I came across another website http://www.microsoftanswer.com which offers chat assistance in resolving office errors. People like you makes this world a better place to live. Cheers. I am facing a problem with my MS Office 365, The system is asking for reactivation key. I want to bypass this…. Can you help me with it. Hi Abe, are you using the genuine copy of Microsoft Office 365?